Paper Delightz: Happy World Card Making Day!! Thanks so much for stopping by today, and have a great Card Making Day!! Fabulous Rose Ann! 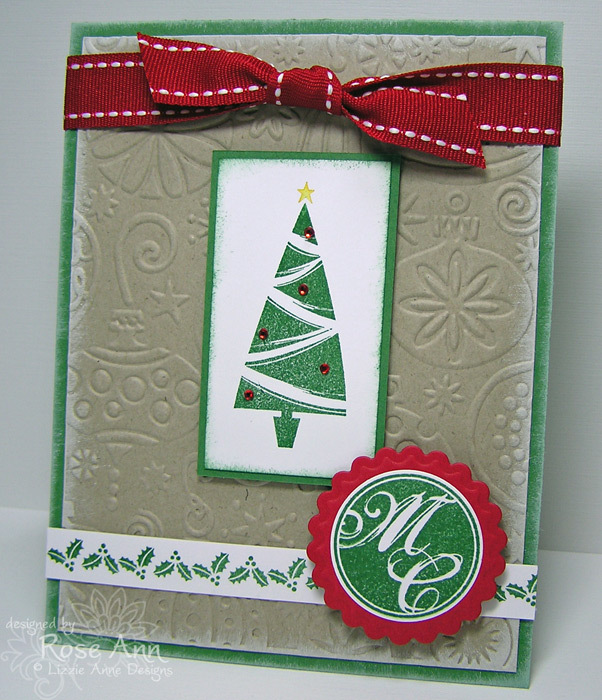 Lovely holiday card, the sponging around the edges is so soft and pretty! Love the card girl...especially the MC in the bottom corner...where did you get that? Is it from Justrite? Pretty Christmas card Rose Ann, happy stampin today. This is so pretty, Rose Ann! 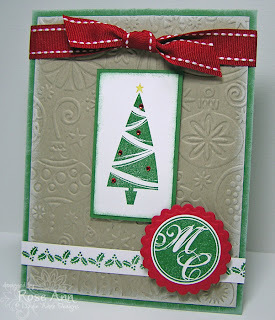 I love the embossed background and the bling on the tree! Have a great day! love your card rose ann. great embossed background. cute. Such a pretty card...love the embossed BG! Great shading with the embossed bg. I have always loved the look of a single tree ... especially when it takes me back to an 'earlier' day. I think the Kraft paper choice enables that perception ... thank you, Rose Ann! Oh, I LIKE it! Love that embossed background, the colors, and the way you worked the different stamps into the design. That little tree is so cute!